When in times of sorrow and distress, we often crave understanding, guidance, support, friendship and someone to be around, even when we have nothing to say because the words just can’t come out. While human companionship and support can never be undermined for their key role during hard times, perhaps it is time to consider using something a little furrier, with four paws, a tail and a grin? 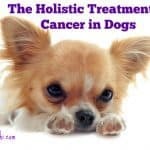 Yes, therapy dogs truly have something unique to offer and can come in all shapes and sizes, there is a range of benefits that come from spending time with a cuddly puppy and we will be dishing all of the information on just how these four-legged friends come to our rescue. Certain therapy dogs can even help to diminish anxiety within patients. A therapy dog can be defined as a dog that has been taught to provide relief, loving care and companionship to people in medical situations, those from a disaster area or people who have learning difficulties. 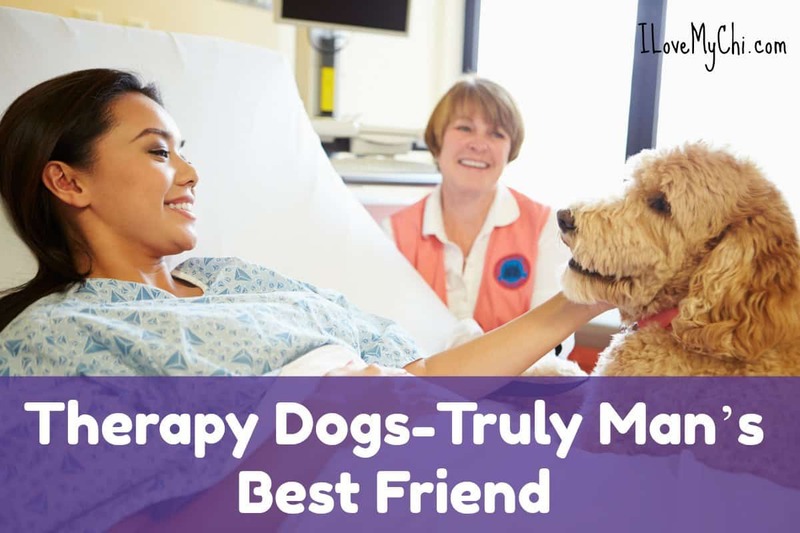 The first type is ‘Therapeutic Visitation’ dogs; these dogs are pets from a loving home, and whose owners take the dog into places such as hospitals to cheer up the patients inside them. The second is an ‘Animal Assisted Therapy’ dog, they work alongside occupational and physical therapists in rehabilitation centers helping to aid in the treatment of patients conditions. The third type is ‘Facility Therapy Dog’ work with a trained employee, live in the elderly care facility and help to care for the elderly and those whose mental faculties are withdrawing due to Alzheimer’s. 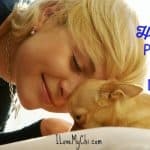 While anyone who has ever owned or had the pleasure of staying with a dog, knows that a good cuddle session can make everything feel better, therapy dogs whether great or as small as a Chihuahua confer extra benefits to their patients. In terms of physical health, spending time with a therapy dog helps to reduce a person’s blood pressure and enhances their hearts performance and well-being in a few short minutes. Playing with a dog releases the hormone oxytocin within the brain, this happiness hormone helps to make patients feel more relaxed and have a lower awareness of any physical pain that may be lingering within their body. 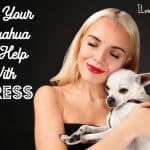 In terms of mental acuity, dogs help to improve the concentration capacity of the patient, helps reduce the patient’s inner feelings of disconnection and loneliness. In addition, dogs help to motivate the patients to be more open to sharing their thoughts and feelings with others; they help to lessen the sense of disinterest within life that the patient may be experiencing and aid children who are attempting to surmount the obstacles of emotional and speech disorders. Dogs have also been found to provide an incentive to make the patient want to get better faster. In terms of therapy dogs participating in programs such as helping children learn to read, therapy dogs have been found to aid in the creation of a conducive, constructive, friendly learning environment. They also have the two-fold benefit of helping children to improve their sense of self-esteem, while cutting down their sense of self-consciousness. When therapy dogs were utilized in physical therapy situations, they were found to be able to aid patients in shortening the length of time needed to recover, to be a source of motivation for patients to train for longer periods with greater intensity and they were also found to help enhance the overall joint movement in patients. 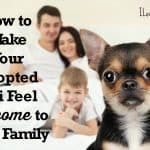 In short, whether you are considering getting a dog or spending time with a dog, the benefits for you are endless, we can certainly say that you should do your research and try and adopt the one who is best suited for you and your lifestyle. 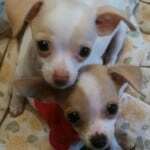 However, that being said, I can’t help but advocate for Chihuahua’s over other small dog breeds, but all dogs need loving homes and all humans need a loving paw on their hearts.